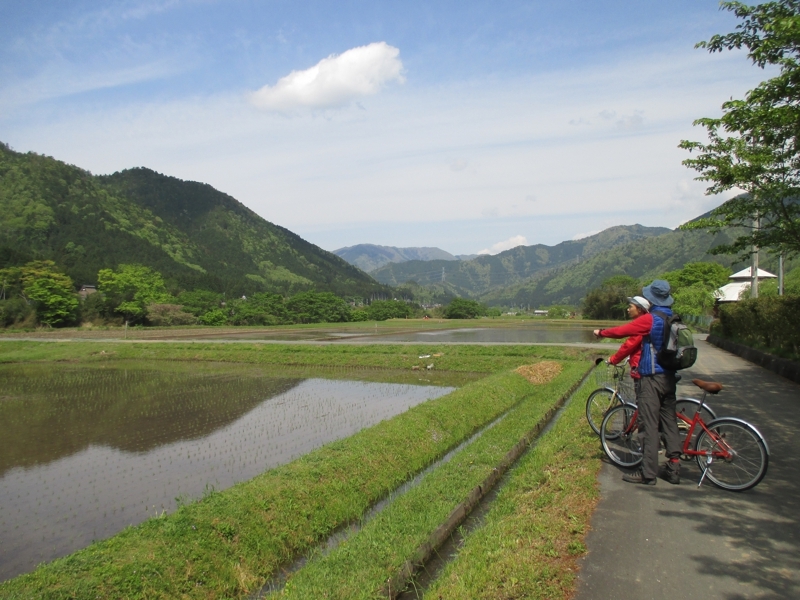 We provide bicycles and a local map, we feel this is the ideal way to slow down and see Miyama. There are few steep hills and not too much traffic on the roads. Driving by car you miss out on the magical details Miyama has to offer. 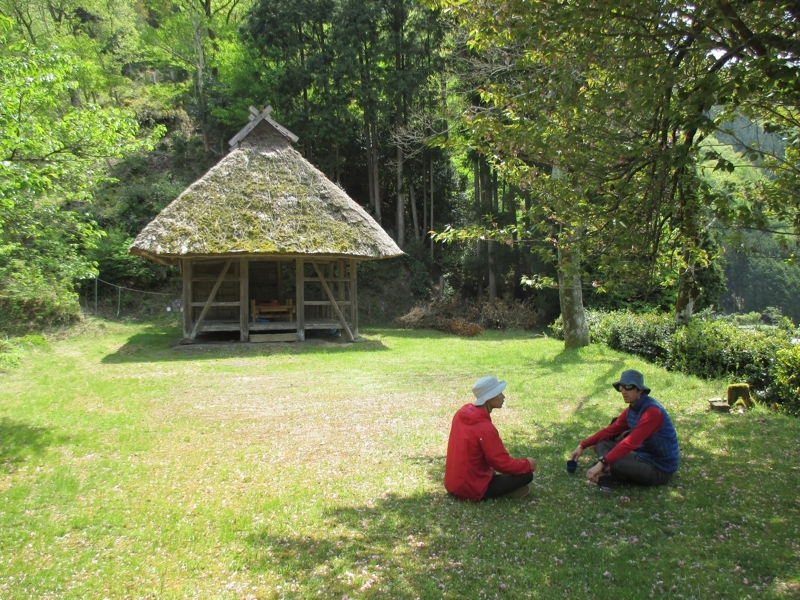 Walking is also lovely in Miyama, please take the map and our phone number in case you should get lost. 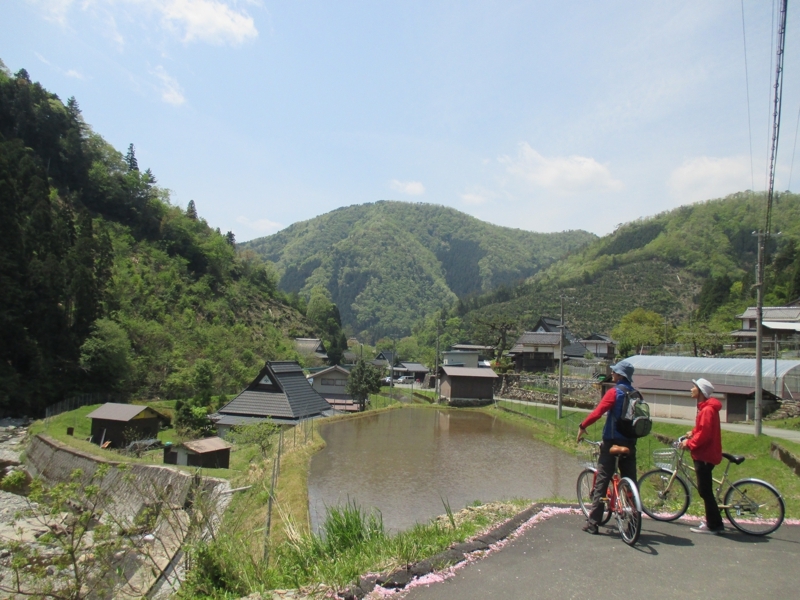 We provide guided tours of Miyama by bicycle. Our guide will help you find some of the most beautiful, tucked away spots and provide insights and understanding of the local way of life, which is an ancient tradition of living in harmony with nature, farming and managing the forests. 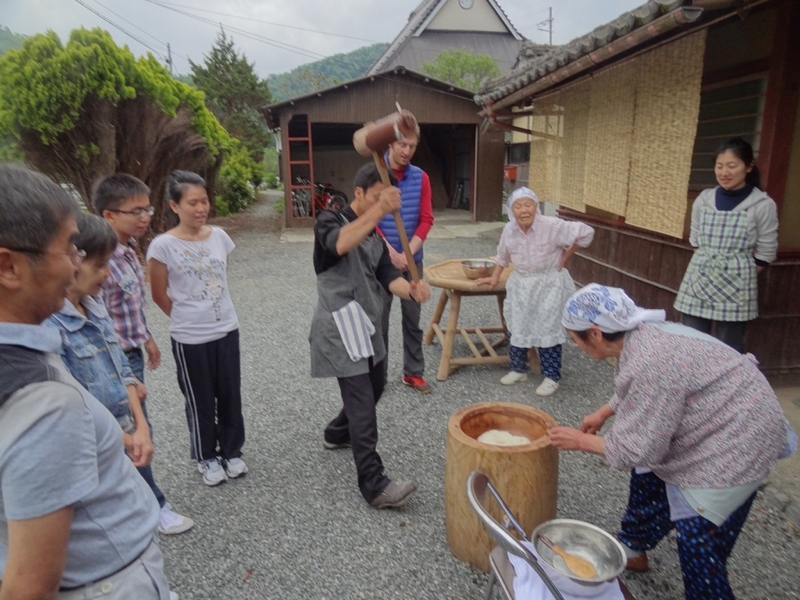 On the tour we often bump into locals and have a chance to chat with them about Miyama and the way of life here. There are 2 tours daily the morning tour from 9am until 12 and then the afternoon tour from 1:30pm until 4:30pm. 7000 Yen per person (1-2persons). 5000 Yen per person (3-8persons). All tours must be booked in advance. 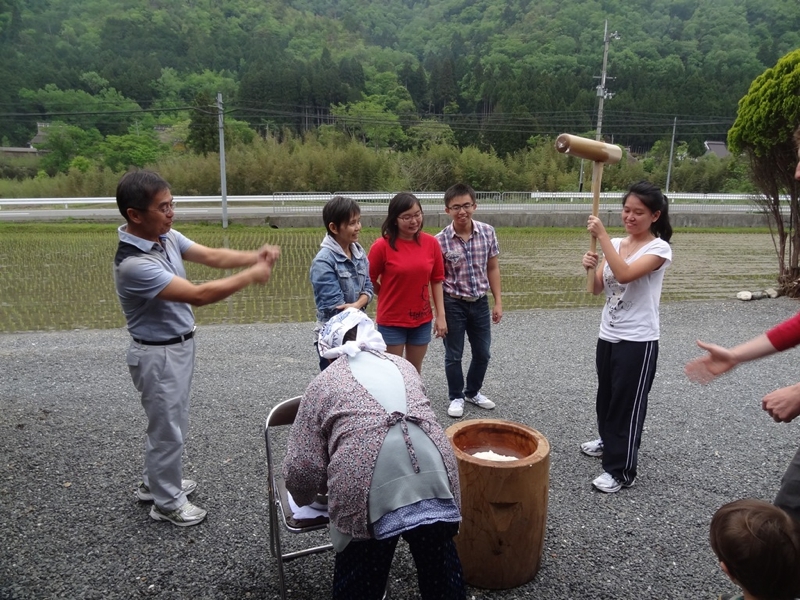 Japanese sticky rice cakes are a traditional treat and are still hand made by pounding steamed rice with a kind of wooden hammer in a stone bowl. You can take part in this procedure and enjoy the rice cakes themselves in both savoury and sweet versions. 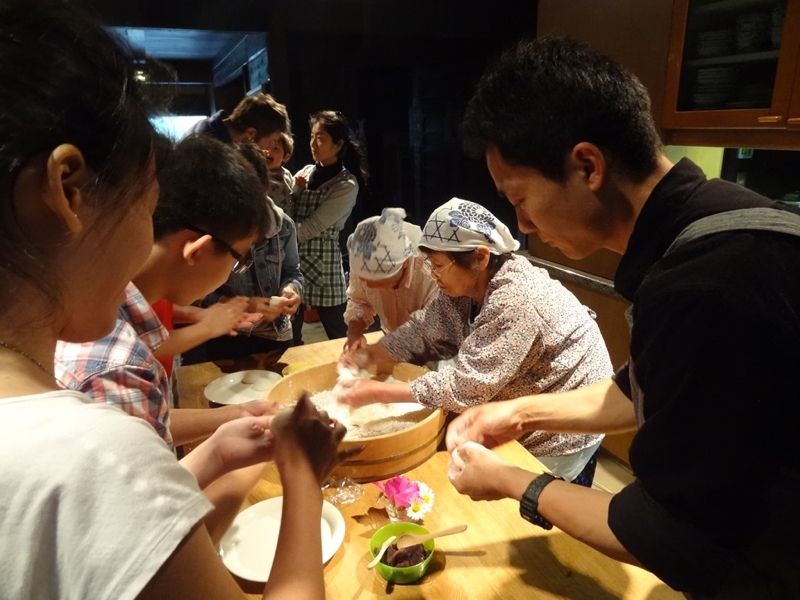 We will guide you through the procedure and make sure your rice cakes turn out right (3000 Yen per person). 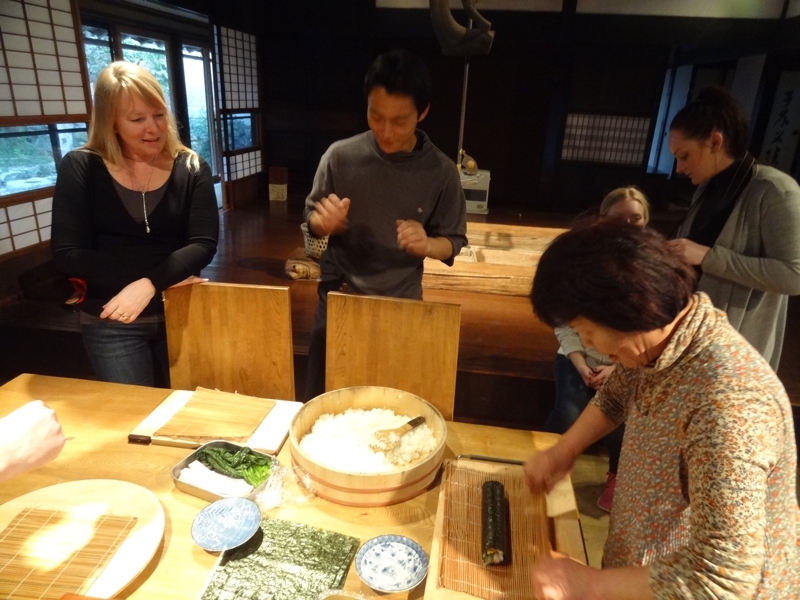 Local housewives will cook traditional everyday Japanese meals and give you a chance to join in the process. 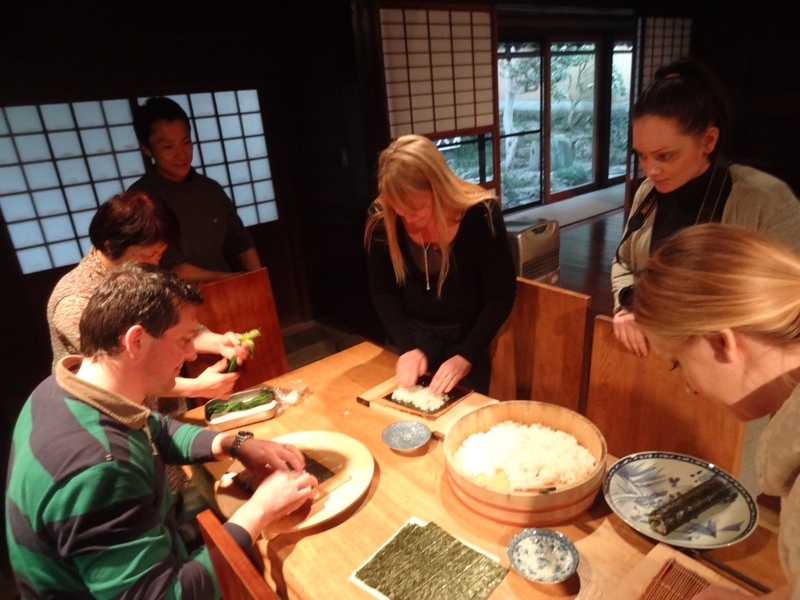 You can learn the basics of some Japanese dishes as well as getting to enjoy a Japanese home cooked dinner or lunch. 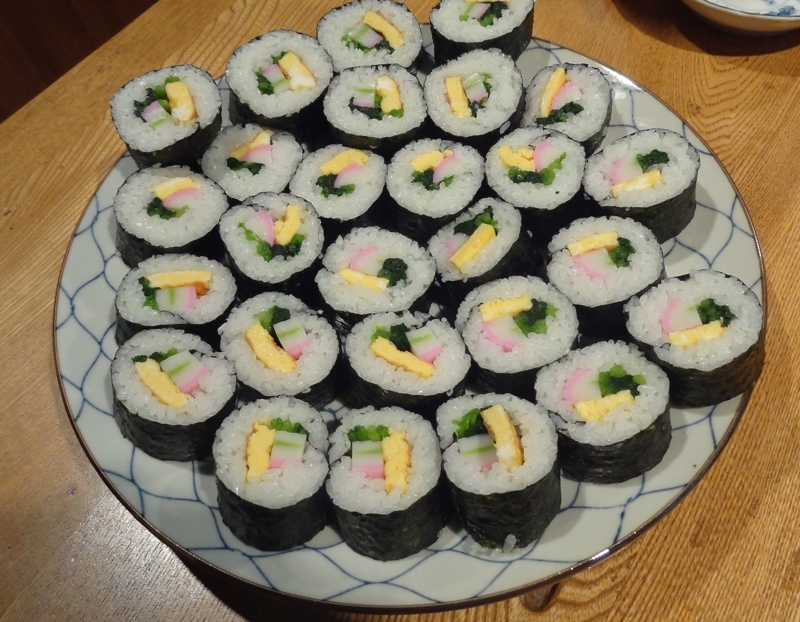 The food we prepare varies with the seasons, but "Maki sushi" and "Temaki sushi" are two of the most common dishes (4000 Yen per person). 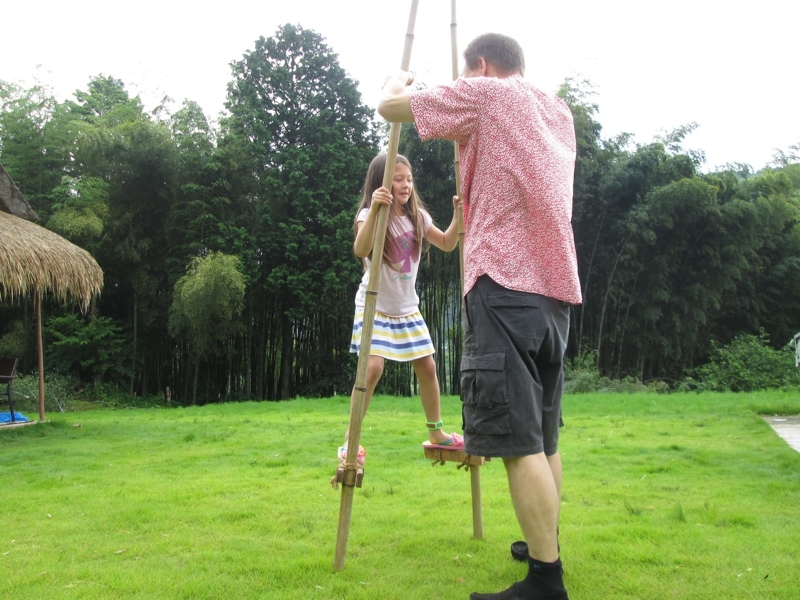 Bamboo is an important resource here in Japan. For thousands of years it has been used as a material for building everything from fences to water flasks. 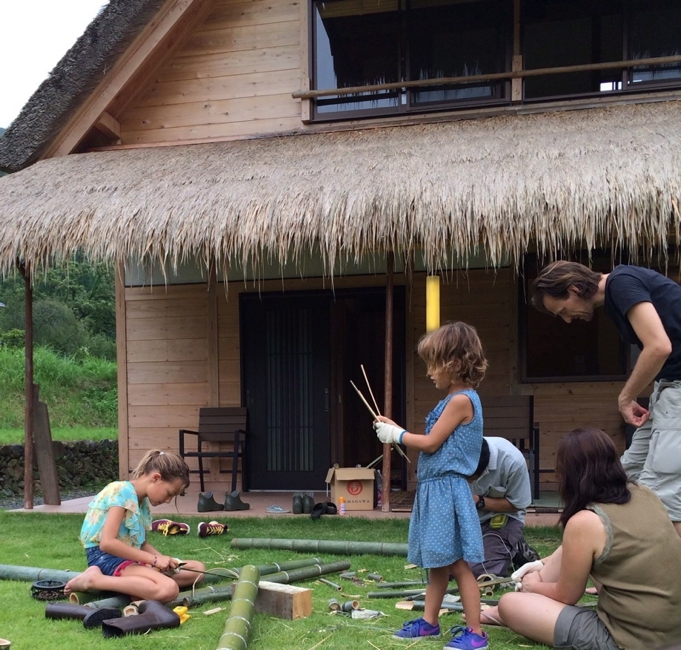 Because it grows abundantly and can be harvested every year bamboo is a great eco friendly material and is still used today. 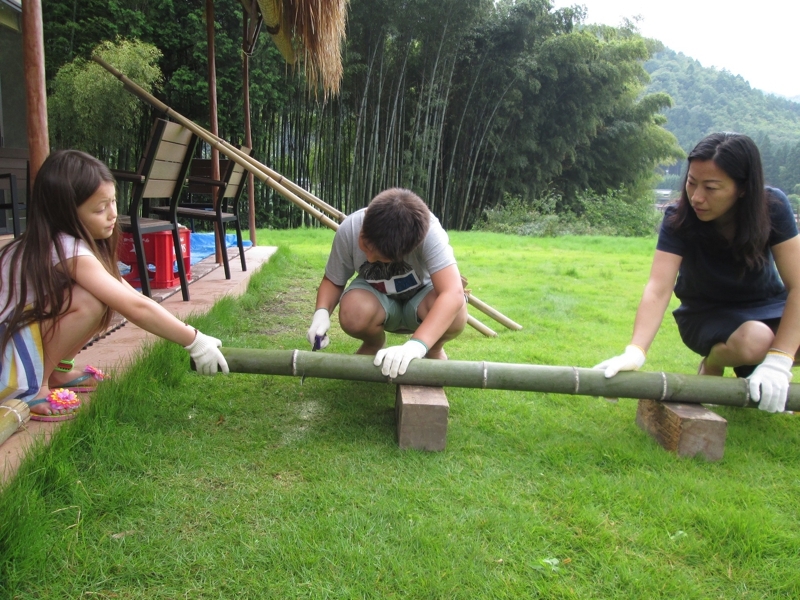 In this workshop we will take you to a bamboo forrest and cut some bamboo together before using the same bamboo to make all kinds of items. Perfect for kids and adults and we will guide you through the procedure so you can make some of your own eco friendly souvenirs ( 2hours 4000 Yen per person). Futon and Breakfast Miyama thatched cottages since 2014-05-09 / Copyright 2014 MIYAMA Futon&Breakfast . All Rights Reserved.